Our core business is worldwide supply of turnkey factories for the manufacture of starch and down-stream products like modified starches, glucose, fructose, maltodextrins and fermented products. Corn, wheat, potato and cassava are primary crops. The Hexagon PPM SmartPlant engineering design suite endows the projects with high productivity and low erection costs for our clients. 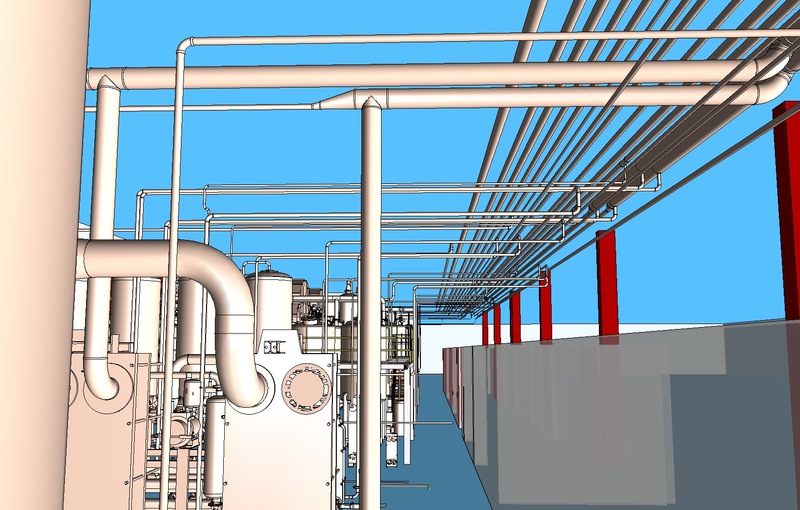 Erectors benefit from true 3D design and our on-site startup assistance ensures hassle-free fast implementation. Click symbol upper right for full screen map of ISI World. Our company "D&B D-U-N-S® Number 30-970-8816" is AAA (triple A) rated several years in a row by soliditet.dk - the largest credit information company in Scandinavia. Less than 3% of Scandinavian companies are rated that high. International Starch Institute A/S has received the Gazelle recognition. 50 years in the starch industry. We are committed by the United Nations framework for businesses. Click to enlarge or click at Google Map of ISI World at top of right column for details. Danish starch factory processing 160 t/h of fresh potatoes. The Danes produce more starch per capita than any other nation – and with a minimum of manpower. 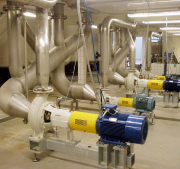 Research and development has taken water and energy savings to unprecedented heights. This home market and the world's most efficient starch industry form the basis for our export of turnkey factories. Recent greenfield cornstarch project for 600 MTPD of corn. Improved steeping. Unique primary separation. Total byproduct recovery. Ultrafast erection. 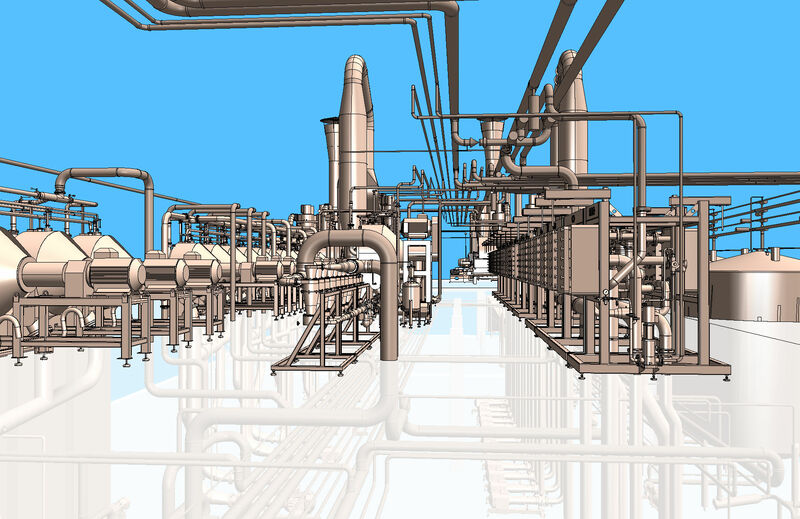 More than 1,000 drawings show the precise location of 1,000 valves and pumps on 15 km of piping presented in true 3D and walk-through. DOMICILE. 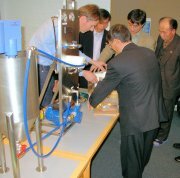 International Starch Institute is headquartered in Agro Food Park, Aarhus with close contact to the Danish starch industry. Read more about Denmark. Agro Food Park is an international centre for innovation and distribution of knowledge within the agriculture and food sector - and the associated technology sector. HISTORY. The history of the Danish Starch Industry is also ours. During the 1950s, the Danish inventor Karl Kroyer made a breakthrough with his invention of the continuous starch hydrolysis process and laid grounds for the innovative Danish starch technology. Today his life work is continued and elaborated by his disciples. International Starch has its roots in this creative environment close to Danish Starch Manufacture and Export. We designed and erected the first Danish starch modification plant, headed starch Research & Development, and introduced process & quality control. These efforts tripled Danish production capacity through turnkey supplies making the Danes produce more starch per capita than any other nation. The large Danish production is exported worldwide and so is the mercantile application and technical know how embedded in our turnkey supplies. PROJECT EXTENT. Projects include planning, basic and detailed engineering, supervision during erection, start-up assistance and extensive after-sales service. Starch may be extracted from corn (maize), wheat, cassava, sweet potatoes, Irish potatoes and even exotic crops. Our plants represent state of the art. They are built to the highest standards and requirements with minimal water consumption. The final product may be native starches, modified starches, sweetener syrups, sugar alcohols and fermented products like bioethanol, L-lysine and monosodium glutamate. High purity of end products facilitates their penetration in the international marketplace. Marketing of products produced at plants supplied by us can be supported ...read more. The environment has been an important concern in Denmark for many years. This has taught us to utilize the valuable nutrients contained in by-products, thereby reducing disposal costs, and even making profitable the use of by-products for the benefit of nature. RESEARCH & DEVELOPMENT. The marketplace of our customers is our main source of inspiration and being guided by the needs of the market is our competitive edge. Development of specialty products and quality control programmes form the basis of Brand Name license and support.